If you move the cursor on a room group, an icon will appear on the right that will allow your to edit it. Move the cursor above a folder and click on the edit-icon. 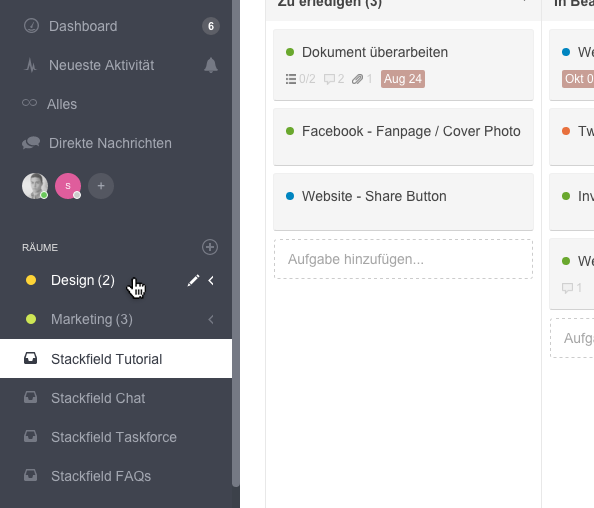 Clicking the edit-icon will activate the editing function of the room group. This way the name of the room group can be changed or the room group can be deleted. The color of the room group can be selected by clicking on the colored circle. 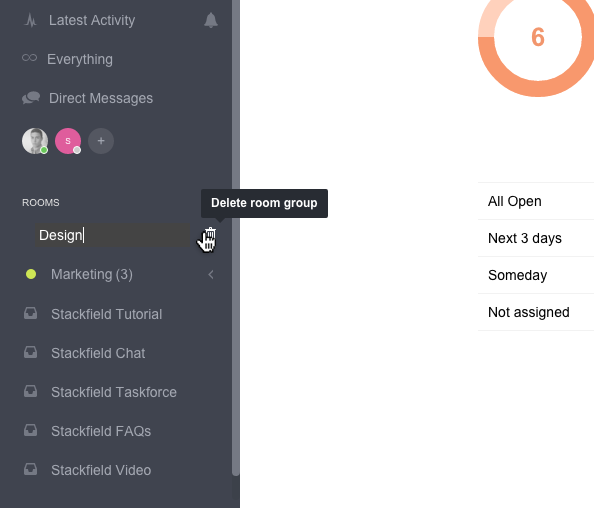 Delete the room group by clicking on the icon on the right.